From the author of ‘Gold Top: The John Lund Story’ and ‘Keep Turning Left’, comes a new book following nine Formula 1 stock car champions. This book combines their accounts with over 100 photographs from both the sixtieth season and further back in the sport’s history. 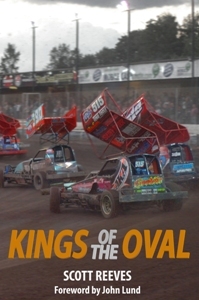 Kings of the Oval is available for only £14.99 including UK Postage & Packing. The book can be pre-ordered through Chequered Flag Publishing HERE. Books will be dispatched on the publication date of 1st May 2015.